He is the early foot in this one and has the speed to wire it. Has raced will where ever he has been entered, hitting the board all 8 times, including 4 wins. His last two races brought in 99 - 98 Beyer's, has back to back bullet workouts and this race fits him perfectly. He is the definite come and catch me. He had a good 2YO campaign on the West Coast, winning his first 3 and then DQ'ed to third in the G1 Del Mar Futurity. After that his connections stretched him out into routes, changed surfaces and went on the road. The results weren't so good and the shut him down. In his first 3YO he goes back to sprinting and on turf which is fine, but what I do like his he found his speed again, posting a 89 Beyer. Peter Miller does well with dirt sprinters and puts on Dunkelberger, which only helps. I look for him to really improve today. Going to toss out that turf route at Churchill, and what you see is a lightly raced 3YO with 3 wins in a row. Won here in April at this distance in a $260K stakes race and I see no reason he doesn't bounce back today. He likes to rate off the pace, which might work to his favor and he gets the always tough Eddie Castro in the irons. He is also entered at PRM today, so at this writing not sure where he will be. If he goes here, the cut back in distance certainly falls into his lap, and would go off with Il Villano and make it a two horse race. You can't ignore his pedigree and prior races before the debacle at Churchill. My only question does the layoff hurt and is this a warm up for bigger things later in the summer. This lightly raced 3YO is turning back to what he does well, sprinting. Biancone had him on the right track until the route race at Monmouth, the Pegasus. Today we get some nice angles, back to sprinting, where he has shown strong Beyers and likes to go forward. Picks up Mario Gutierrez and blinkers for the first time. Add his bullet workout earlier in the week and he could really surprise us today. Weekend Handicapping: Two horse race in the Mother Goose, maybe! So far this month we have gotten off to a good start, three winners in four races, and one dark horse selection coming through. However, that could end today at Belmont in the Mother Goose (G1). It looks like a two horse race on paper, and will probably be so if you can figure out which one will win it. The Mother Goose is for 3YO fillies going a mile and a sixteenth over the dirt track. The purse is for $300,000 and we have a small field of five. With that there will be only three contenders today. She will be shooting for her 5th in a row, coming off a solid win in the G1 Acorn, here at Belmont. Since she left California her Beyer's have really jumped and she looks like she is getting stronger as they stretch her out. She likes to get out on top, and while Believe You Can can run with her, I think Contested could easily go wire to wire. Baffert has found a nice spot for her today. Here is another filly returning after winning a G1 race, the Kentucky Oaks, with an impressive 100 Beyer. Looking to win her 3rd in a row, and has shown she can get out on the lead as well. Has won 2 of 3 at this distance and won the Tempted (G3) here at Belmont as a 2YO in the mud. She has shown she can win off the layoff, doing it twice and Larry Jones has an eye popping 34% win record in Stakes races. If there was another filly entered with some speed this pace would set up for her perfectly. However, with only Contested out front it might be to much to ask of her to go head to head. It's pretty wide open after the top two, but I like how this filly responded in the Black Eyed Susan, getting up for second. She had a big Beyer improvement and will need one today to get on the other fillies. What I like today, is she is back at Belmont where she won her maiden, Pletcher puts Doninguez on board again, and she can rate off the pace. If the top two get out of control and melt down (which I don't think will happen) she can prevail. She is a contender, dark horse and quasi-Bombs Away all in one. Does the title for this article sound like an exaggeration? Or maybe a tad bit harsh? Well, read on. As you are about to discover, the headline is absolutely true and betting on horse races is a harsh game. If you work in track management, if you are a horseman, or if you are a politically appointed state regulator – this article was written for your benefit. As members of track management, elected leadership of horsemen’s groups, and politically appointed state regulators – you have played an active role in setting takeout levels. And in so doing you have created a comically poor wagering experience for the new would be racing fan compared to what that same new would be racing fan experiences when he or she walks into a casino. In a recent article, The Paulick Report covered an appellate court ruling in Kentucky that vacated a decision made by a lower court to allow gaming in the form of Instant Racing to operate at race tracks in the state of Kentucky. Those numbers indicate that Instant Racing takeout is approximately 8.28%. Bullet Point: This is a case where tracks and horsemen are clamoring for approval to offer an electronic version of racing that has a takeout of 8.28%. Yet the real thing (live thoroughbred racing) has a blended takeout rate more than double that amount. Q. Why such a disparity between the two rates? A. It’s really quite simple. Takeout rates for the live racing product aren’t set by the market. Instead, takeout rates for the live racing product are dictated by track management, leadership of horsemen’s groups, and politically appointed state regulators – people who to date have done everything in their power to deny even the suggestion that market forces apply to the live racing product. The 8.28% takeout rate for Instant Racing came about because it was suggested by the market. There is a growing body of real world evidence to suggest that Instant Racing’s 8.28% takeout rate is not too far away from the optimal pricing point for most forms of gaming. Q. Where does that body of evidence come from? A. It comes from the casino industry. According to the American Casino Guide, the average takeout for $0.25 and $1.00 slot machines in the Las Vegas area is less than10%. In case you’ve been living under a rock, in recent years, slot machines have become the most popular form of gaming in Las Vegas. Is it possible that the increased prize payouts for present day slot machines compared to the racing-esque slot machine payouts from the 1970’s have something to do with this form reversal? When you compare present day slot machine takeouts (less than 10%) to thoroughbred horse racing’s blended takeout rates (more than 22%) it doesn’t take a genius to figure out why racing finds itself in long term decline while slot machine play has become more popular than ever. Don’t blame us. It’s not like we horseplayers haven’t been speaking up for some time now. In survey after survey, HANA horseplayer members have made it abundantly clear that one of the primary reasons they bet less on horse racing than they otherwise would is that horse racing has onerous takeout rates. The problem is that our voices are falling on ears that are deaf to the point of being comically ignorant. Let’s take at look at the betting experience faced by the new would be racing fan making one of his or her initial forays into our pools. As you can see, the player’s expected return for WIN, PLACE, and SHOW bets averages just 75 cents for each $1.00 wagered. The true return is far worse than what you might intuitively think given an industry average of 16% to 18% takeout rates for WPS bets. How can this be? Shouldn’t the player’s expectation be 1 minus the takeout rate? 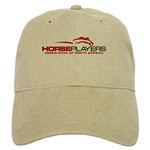 The player’s expectation varies, depending on the attributes of the horse being wagered on. I’m talking about things we as players use to measure horses - such as speed and pace figs, class, the abilities of the horse’s human connections, the condition of the horse, etc. Each of these factors, and many more, are reflected in the odds. In order for the player’s expectation to closely match 1 minus the takeout, the player must dutch every horse in the race in proportion to the money bet on each horse in the pool. Race outcomes aren’t the result of random chance (like a slot machine.) Horse race betting is a game of skill where the player must make a careful analysis of the horses and exercise judgment not just to gain an edge – but, quite literally, to have a reasonable hope of cashing a bet. Please understand that I’m not talking about the skill needed to gain a true long term edge. Most of us know the knowledge and requisite skill to do THAT on a consistent basis doesn’t come easy. The learning curve is steep. In the end, only a tiny percentage of all players ever make it to the promised land. Only a select few ever become skillful enough to consistently beat the game on the up. Let’s leave that discussion for another article and limit the scope of what’s being talked about here in this article to the skill set needed by the new would be racing fan to cash a few bets and have a good enough time doing that during those first few visits to a race track – so that he or she feels as though there’s a fighting chance – and as a result, decides to come back. The newbie horseplayer, not knowing anything about handicapping is reduced to making what often amounts to plays that are literally no better than blind stabs. Unless horseplayers betting on horses to WIN, PLACE, or SHOW possess some skill or knowledge of what they are doing – the realistic long term expectation (while learning) is a paltry 75 cents for each dollar wagered. Here’s the harsh reality: Long term losses in the neighborhood of 25% are the norm for the new would be racing fan. Now let’s say for the sake of argument that the same newbie player walks into a Las Vegas casino. When he or she takes that same $2.00 and feeds it into a slot machine - that player’s long term expectation is a return of approximately 95 cents for each dollar bet. Unlike the new would be horse racing fan, the newbie slot machine player is given that higher percentage return on his or her money without ever facing the need to think. Make no mistake. The machines are programmed to beat the player’s brains out in the long run - and they will do just that provided the player plays long enough. But the machines are also programmed to pay out often enough and at a high enough rate of return to lead the player to think there’s a fighting chance. Further, the décor, design, ambiance, people, and sights and sounds found in the Las Vegas casino work together, purposely and by design, to create an environment that on a subconscious level is far more conducive to players believing there’s a fighting chance and opening their wallets than the atmosphere found at most race tracks. The disparity in expected return isn’t advertised to the new would be racing fan. But over the course of time, the state of the new would be racing fan’s wallet whispers over and over again that maybe race tracks should be avoided – and when the itch to gamble presents itself: best to get it scratched, instead, at a casino. Atmosphere and décor considerations aside, the player’s expected return of 75 cents for each $1.00 wagered on WPS bets is horribly out of line compared to the player’s expected return of 91.72 cents for each $1.00 wagered on those same WPS bets if made through an Instant Racing machine. The player’s expected return of 75 cents for each $1.00 wagered on WPS bets is horribly out of line compared to the player’s expected return of 95.26 cents for each $1.00 wagered through a $1.00 slot machine in Downtown Las Vegas. And this is only compounded – at a subconscious level – as the player is affected by the ambiance created by the design considerations of the casino. But that’s not the comically sad part. Takeout rates for the live racing product aren’t set by the market. Racing has a serious problem here – one that needs to be addressed. Racing is a gambling game – one that is being priced out of existence by its track managers, horsemen, and political appointees who are sadly and comically oblivious to the betting experience of the new would be racing customer compared to the new customer betting experience when that same customer walks into a casino. 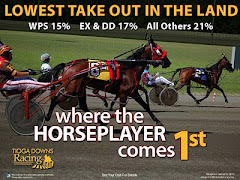 How much longer, by your own actions in setting takeout levels, are you going to continue to drive the new would be racing fan away from a day at the track – and into the hands of your competitors in the casino industry? New York State Racing and Wagering Board (NYSRWB) suspended harness trainer Luis Pena indefinitely for allegedly illegally drugging horses in 675 races and racking up 1,719 equine drug violations. The Mexican-born trainer fired right back, accusing the board of racism. New York Racing Association (NYRA) has been seized under temporary public control. A new panel of members selected by Governor Cuomo and state legislative leaders will soon dominate the board of directors. Existing NYRA board members supported the reorganization plan unanimously. The proposed arrangement will last three years and operate under a new panel called the NYRA Reorganization Board. The new 17-member board will include 7 members appointed by Cuomo, 5 members appointed by state legislative leaders, and 5 members appointed by NYRA. Governor Cuomo stated that during the three-year reorganization period, the new board will restructure how NYRA is run. He did not rule out the possibility of closing Aqueduct, an idea his administration has tentatively explored recently. Barry Ostrager, President of the New York Thoroughbred Breeders, said in a statement, "It is a great comfort to the New York thoroughbred breeders to know that Governor Cuomo has reaffirmed the State's commitment to support the New York breeding program and to protect and expand the number of jobs that have recently been created by our revivified industry." Getnick & Getnick, the law firm once paid to monitor ethics at NYRA, claims the group is blocking release of an internal 2011 report on "integrity investigations" that could be important to the state's takeover of NYRA's board. The law firm sought a meeting with NYRA to discuss two ongoing investigations. NYRA refused the meeting and fired the counsel a few weeks later. Getnick & Getnick has sued NYRA for $2 million as part of a claim that says it was illegally fired while compiling an investigative report on the association. NYSRWB Chairman John Sabini opened the meeting by referencing the magnitude of the upcoming Belmont Stakes. He mentioned that everything possible is being done to ensure that the event goes off without a hitch, including beefed up security, enhanced drug testing, heightened license checking, and strictly monitored barn access areas. A request by Saratoga Harness to conduct 9 horse fields in 2012 was approved by the board. The Stephen Foster set up nicely for Ron the Greek yesterday. Nate's Mineshaft took off and several chased, while the pace wasn't blistering it was enough to put Ron the Greek in great position. Lezcano rode it perfectly by staying to the inside and took care of business when the opportunity opened up. Today, we head over to Monmouth Park for the Grade 3, Pegasus for 3YO's going a mile and sixteenth on dirt for a purse of $100,000. We have a field of 7 lightly raced 3YO's and due to the shorter field I will have the 3 contenders and one dark horse/bombs away selection. 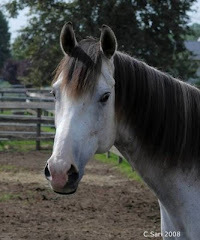 Here is a lightly raced 3YO who has won 2 of 4, including an Allowance race with older horses. Then McLauglin spins him right back into the G2, Peter Pan, where he gets on the field and then fades. I sense that race in the Peter Pan was more of what does this colt have then really trying to win. Today, he cuts back a bit on distance and has Luzzi back in the irons. He has had a couple of decent works since that beating and Kiaran does well with minor layoffs winning 26% of the time. He has shown to be a tough horse and look for him to get out quickly. He has won twice both on off tracks but you have to admire the win in the $150,000 Calder Derby at this distance. Timothy Hills took over after that race and dropped him in the G2, Peter Pan where he fared better than Le Bernardin, finishing fourth. Today, he gets a scenery change and a jockey switch to Elvis Tjuillo. His lack of consistency is the only thing that holds him back from being the top selection. Nick Zito brings in a two time winner over off tracks for this race. We have a nice angle here with a shipper, stretching out from two sprints with improving speed fig's. Two good works at Saratoga and keeps Russell on board for today. Zito wins 21% in stakes races and I think has this colt positioned well today to be a serious threat. Two sprints here at Monmouth with one win being his maiden. Had a pedestrian effort in his first Allowance race for non winners of one, but has shown he can hold his own with older horses. McBurney stretches him out today which is a nice angle, keeps Marquez in the irons. 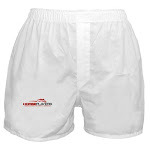 He likes to lay off the pace and if he stays clear of the action, he might find himself in a winning a position. Regardless, it will be interesting to see the improvement in this colt as he enters the graded realm for the first time. This is one of those times where I had to push my personal bias to the side and really look at the best horse. I'm a big Nate's Mineshaft fan, and will play my money there but from a pure handicapping perspective, Successful Dan has to be the one to beat. Winner of 7 of 10, 3 of 4 at Churchill Downs and carrying a 5 race winning streak, that includes a G1 win and 2 G2 wins (will ignore the DQ in the Clark). His versatility set's up well with this group, he can to the front, press and even stalk the pace. I see no drop off with JohnnyV taking over today. The one to beat. Probably more wishful thinking on my part for he is a notorious "horse for course", winning mostly at Fair Grounds and the other tracks in the south. He has only one try at CD and it wasn't pretty finishing 6th in the Alysheba behind Successful Dan and Fort Larned. He since bounced off that performance with a G3 win. Going to use the bad trip scenario in the CD outing instead of not liking the surface. I can see Campbell taking him out and go wire to wire. The old come and get me trip. It will be his first venture into Churchill Downs, but he has shown he can win where ever he races. On a 4 race winning streak, including 2 G3's and a G2. The key here is that Von Hemel wins 21% with horses that won last out, and has a staggering 29% stakes winning record with a ROI $3.53! He will get a good price today, and has all the ability to take off and nail this group. Quinonez knows him well and can race him anyway he wants to suit the pace. The attraction here is that he is a G1 winner taking the Santa Anita Handicap and likes to rate off the pace. He can go forward, but I believe Lezcano will let the others go out and wait to see the pace break down. He likes to go long and can run down a field from the outside. He is in a tough group of speedsters but if there is a melt down he will prevail. He is not the long shot pick due to the odds but there is something about him that says, "watch out." He bounced off his poor performance in the Ben Ali (G3) to win an Optional Claiming here at CD. A jockey switch to Cruz also seemed to be a tonic. I like that he can lay back and see what opens with this speed today, and he is comfortable at Churchill. He has shown he can handle the Graded level, and today he could make his mark. The Daily Racing Form is reporting that a testing lab at LSU has begun testing blood samples from race horses for the presence of synthetic opiates. "Because the LSU lab immediately began finding positives after putting the test in place, it’s likely that trainers have been abusing the drug for some time." 1. How widespread is usage of this stuff? 2. How many other racing jurisdictions will begin testing for it? 4. Will testing in other racing jurisdictions begin with samples that have already been collected? 6. What will the penalties be for those caught red handed? In our opinion, those caught cheating through the use of synthetic (and other) pain killers on race day deserve the harshest treatment possible under the law. In survey after survey, horseplayers have made it abundantly clear that they want racing commissions to treat cheating through the use of drugs as the serious offense that it is. Horse racing is a wonderful grandiose game. However, horse racing is not entertainment. Horse racing is, first and foremost, a gambling game. The first order of business for running a successful gambling game is integrity. Racing is now at a crossroads. The time has come for Racing to take integrity seriously. If you think public support for Racing can't possibly get any lower than it is - think again. As always, we at HANA welcome commentary from players, track management, horsemen, and in this case Racing Commissioners. Feel free to drop us a line and let us know what you think. One of the most compelling aspects of handicapping to experienced horseplayers is the sheer number of wagering choices. This allows for creativity based on your opinion of the race to maximize the potential return. It’s a game within a game and mastering the balance between handicapping and proper ticket structure creates a chess match between you and your fellow pari-mutuel participants. However, it also creates confusion and trepidation to potential new customers that are already sports fans and bettors, but have avoided playing the horses. This is a key demographic racing should court with vigor. Belmont Race 3: Who will finish higher –#1 Karakorum Kenny (-110) or #7 Catienus Cathy (-110)? Strategically placing a simple wagering opportunity on the regular sports board with the selected track and race simulcast feed shown amongst the other televised sports rather than segregating it gives the product a fighting chance to be consumed by a wider audience. Simplicity is paramount. While watching and wagering on a three hour telecast of one the four major sports, selectively offering something in the mold of what is described above can potentially get people watching and betting who would ordinarily avoid racing altogether. Perhaps some of these folks will eventually become regular players over time. In lieu of massive change that this sport needs (the consistent themes that the industry refuses to address effectively, issues articulately summarized by Cary Fortias, Jeff Platt, Dean Towers and countless others over a span of many moons), we’re left with addressing tiny incremental items that perhaps collectively can make a difference. They took my number down. Is a video replay of the foul too much to ask? 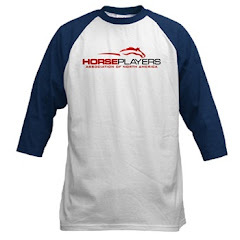 Today's blog piece features an email from a horseplayer named George who lives in Florida. The email speaks for itself and needs little in the way of explanation or commentary from me. I’m writing in hopes that HANA will bring my complaint to the attention of track management at Calder. On Sunday 6/10/2012 at Calder in race 1, I bet the #5 horse Steel Hammer to win. My horse won the race but was DQ’d by the stewards afterwards. I’ve seen my share of bad calls (and this one certainly qualifies) as I’ve been betting races for almost 40 years. My complaint isn’t about the call itself. Stewards are human and are therefore fallible just like all of us. My complaint is about Calder failing to show a video replay of the foul on the track video feed afterwards. As bettors all of us know how it feels to have a winning number taken down. But as bettors, do we not deserve, at the very least, a video of the foul along with the reason why a winning number was taken down? Please bring this to the attention of Calder track management. We as bettors deserve better. Yesterday's Belmont turned out to be an exciting race, with Union Rags getting the rail to open and he took it to win. In watching the replay, I wasn't sure if it would open and he sure looked pinned in on the rail. Afterwards, Mike Smith took the blame for letting it open up and JohnnyV said they got lucky. No matter what, it was a good race, exciting and happy to see Union Rags back in form. The stakes schedule is quiet today, so I am going to take a look at the Redondo Beach turf race at Hollywood Park. It's a mile race for $70,000 for fillies and mares 3YO and upwards. There are eight ladies going forward, so I will have three contenders and one dark horse/bombs away selection. She will be making her 5YO debut in this feature race. Last season she won 5 of 7, including her last race the Las Palmas (G2). When you look at her PP's you see a tale of two horses here. Once she came under Ron McAnally tutleage, she ripped off those 5 wins going a mile on grass. Her Beyer's have been real consistent, she has won once here on the Hollywood turf and has won coming off the bench before. Her workouts have been spaced nicely and she looks well positioned to take this one. She too will be making her 2012 debut today as a 4YO. Her 3YO season resulted in winning 3 of 7, most of those races were graded affairs. She has won twice at this distance, the Senorita (G3) and the Matriarch (G1), both races came at Hollywood Park. The main reason I've have her in second today, is that in her last break from racing she came up empty at Keeneland. She has been gone for over 6 months and while her workouts look good and Sherreffs does will with layoffs, I think she'll need this one today to find her footing. She had a great 3YO season winning 4 races, including 2 over the Hollywood grass. Since then she has not done much, winning only once in an Optional Claimer last February. The key angle here is the jockey switch to Bejarano by Meza and putting her back at a mile. She is 2 for 4 at this distance and on the board in all 4. It might be asking a lot today against the group, but she likes to race up front and that might be a difference maker. The angle here with this 4YO filly is the following: shipping in and a new trainer in Cecil, jockey switch to Garrett Gomez and keeping her at a mile. We can see from her results in Italy, she does have talent and often with a change of scenery, especially California, horses like her wake up. It'll be interesting to watch regardless. I'm going to toss out the Derby effort, he got off to a bad start and with a field of 20 you have no chance after that. He has won 4 of 7, including the G1, Champagne here at Belmont last year. He has been working well, back to back bullets, and Matz makes a jockey change, putting Velazquez in the irons. One final note, Union Rags has won both times when he has come back from a break. He is fit and ready and I think the added distance will help him today. He will be the favorite today and deserving of that honor. Like Union Rags, had a tough ride in the Derby but did close down well. His connections skipped the Preakness and pointed him to this race. He can handle the distance and has 2 G1 wins under his belt. His last workout was a bullet and looks ready to go. For me the big issue is the jockey switch. Normally I like that angle but in this case, I'm not so sure. I admit I like this Lukas trained 3YO. I've been waiting for him to find himself and repeat that great effort in the Rebel. If Nakatani can keep him from trouble, get him relaxed and turn him loose at the right time, he could fly by all of these boys. This is a race where I believe the distance favors him. He will be making only his 5th start but he has been on the G1 stage before, finishing fourth in his second start in the Santa Anita Derby. His last 2 races he posted impressive Beyer's and will take the lead today. It might be asking a lot of him in this situation but you have to be wary of a Baffert/Mike Smith situation. Hard to ignore Bafferts record with winners last time of 29%. Here is another lightly raced 3YO and his coming right back after a fine performance in the Peter Pan (G2) here at Belmont. He finished third in that race and improved his Beyer nicely. Chad Brown keeps Lezcano on board which is a good sign, has been working well and has one route race under his belt at Belmont. No doubt it will take a huge effort but if any pace occurs on the front end, he could kick it into gear and catch them. The following piece was written by HANA Advisory Board member Cary Fotias and appeared earlier this week on John Pricci's HRI (HorseRaceInsider.com) site. With Cary's permission, we are re-running it here. This Saturday, over 100,000 racing fans will gather at majestic Belmont Park as I’ll Have Another seeks to become the first Triple Crown winner in 34 years. I have seen every Belmont Stakes since I moved to New York in 1986 - from Woody’s fifth straight with Danzig Connection through Ruler on Ice. In that span, nine horses have taken aim at the Triple Crown, only to come up short. Believe me when I tell you, there is no sound in all the world of sports like the “New York roar” that builds to a climax as a potential Triple Crown winner enters the final furlongs. Alysheba, Sunday Silence, Silver Charm, Smarty Jones – some really good horses have failed the Test of the Champion. Will I’ll Have Another become our twelfth Triple Crown winner? I guess we’ll have to see what Dullahan, Union Rags, Paynter and Street Life have to say about that. So, get out to Big Sandy on Saturday and see some history. With all the excitement over the Triple Crown grabbing the headlines, some ominous signs for thoroughbred racing continue to lurk “below the fold”. 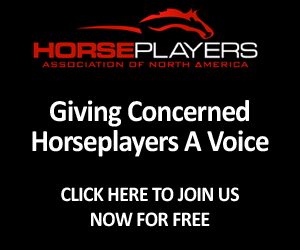 Item: In 2004, I was part of the NTRA Players Panel at the Handicapping Expo in Las Vegas that made over 60 recommendations (one of which was implemented) to the industry to improve the game. Number one on MY list was to lower the takeout dramatically. Unfortunately, this has not happened. The only meaningful takeout reductions have been in Pick-3, Pick-4 and Pick-5 pools. Reducing the takeout in these pools does little to increase “churn” as the usually large payoffs are shared by only a few bettors who are unlikely to quickly plow back their profits. It would be much better to lower the take on WPS. Almost everyone would benefit from this, including the tracks. Churn would increase significantly and casual players would get more “value” for their entertainment dollar. It’s so simple an economic concept that it probably has no chance of happening considering the panjandrums that control the game. Item: In the last few years, total handle on thoroughbred racing in the US has dwindled to $10.6 million from $15 million. That’s a 30% decline in just a few years. As the powers that be continue to fight for a bigger piece of a shrinking pie, they should be looking to get a smaller piece of a much, much bigger pie. The industry has taken the greatest gambling game ever invented and trashed it. It is a testament to “what the outside of a horse does to the inside of a man” that the game has survived the egregious and almost unconscionable decisions of its management. Item: The aforementioned decline in handle has led to a severe liquidity crisis in the wagering pools. With money spread across so many exotic pools in addition to WPS, the effects of the overall decline are exacerbated. To wit, in Saturday’s first race at Monmouth Park (supposedly a top-shelf track), My Place Anytime was 3/5 entering the gate. He won and paid $2.60. In the second race at Monmouth on Sunday, Quiet Tiara was 8/5 entering the gate and paid $3.40. There’s nothing fishy going on here. It’s just that a few big bettors (or one really big one) can cause these dramatic changes due to the paucity of money in the win pools. Again, the solution is simple. LESS IS MORE. We need a lot less racing (and maybe less betting options on every race) so that pools can attract large bettors with differing opinions. If we ran half the dates we do now, I guarantee you overall handle would improve. Why? Because people will bet more than twice as much on big, competitive fields than they will on a steady diet of five and six horse affairs you always see in Northern California, and recently in Southern California and Churchill Downs (without slot money) as well. Item: Preposterous is the word that comes to mind when describing Churchill Downs handling of the “late odds drop” phenomenon. Although the industry promised years ago that odds cycling would be reduced to 15 seconds, it has not happened. So, the bozos at Churchill decided that rather invest money to keep their promise, they will just “blank out the odds” until they are final. That way, no one can complain about odds drops during the race. So when you watch Arlington, Calder and Churchill, you won’t see odds until mid-race. I have recommended for years that all final WPS pools and exacta payoff grids should be posted on the tracks’ onsite monitors and websites BEFORE the race goes off. Now, THAT would insure the integrity of the pools. After awhile, players would adjust to the earlier cutoff times and consider it more than a fair tradeoff. Item: After all the shenanigans at NYRA, the new board will consist of appointments from Gov Cuomo and NYRA along with non-voting members for owners and breeders. Hello! Has anyone ever heard of HORSEPLAYERS? It disgusts me that the most vital constituency in the game is consistently given such short shrift. Item: The NYSRWB (New York State Racing and Wagering Board) seems to just make up the rules as it chooses. I wouldn’t have a problem with the detention barn for the Belmont Stakes horses if it was also used for $20,000 maiden claimers. I want to be betting on a “fair” game ALL THE TIME. The money is just as green in the first race on Wednesday as it is for the Belmont. And, if you can change the rules on a whim, why not allow I’ll Have Another to race with the nasal strip that is permitted in every other US racing jurisdiction. Lasix is OK, but not a nasal strip? Get real, already. Check out this beauty below. Talk about manipulating the pools. I guess the perpetrators inflated the price of the favorite so they could collect more from bookmakers than they invested to drive up the price at the track. The intentions of the bettor or bettors who targeted Monday's (May 21) fifth race on Thistledown in Cleveland for $90,000 in late win bets remained unknown on Wednesday, according to officials who are familiar with the investigation into the wagers. Investigators have failed to determine how the bettor or bettors figured they would profit from the $15,000 win bets, which were placed on every other horse in the seven-horse maiden race but the 1-5 favorite within 90 seconds of the race going off. The bets drove the odds on the favorite up to 14-1 before a robotic wagering program targeted the favorite with an $8,359 win bet placed just before the race went off. The horse who had been the favorite, Eye Look the Part, won the six-furlong maiden race by 16 1/2 lengths. He paid $12.80. Sixteen and-a-half lengths! I guess they weren’t taking any chances. These guys better be careful. Bookies don’t take kindly to this type of activity. Baseball bats, anyone? Even worse than this type of coup, is the fact that most tracks allow the cancellation of large bets. This creates a “license to steal” for larcenous operators who pound a horse early (getting others off the horse due to deflated odds) and then pull money out at the last second to inflate the price. This is beyond chicanery, and tracks should be very vigilant about this. But sadly, they are not. Item: The Thoroughbred Owners of California (TOC) have shelved a betting exchange trial for at least a year. That’s right, these myopic morons are fine with 5-horse fields where it’s easy to collect purse money, but refuse to allow Betfair to begin an experiment with exchange betting in the US. Betfair purchased Hollywood Park and TVG (Television Games Network) a while back, with the obvious intention of introducing exchange betting. Exchange betting has proved wildly successful in Europe. As win betting accounts for only 20% of US handle, why not give it a try here? The game is dying, and a betting exchange might just revitalize the industry by attracting that “younger” demographic it is constantly seeking. In addition, a betting exchange solves pool manipulation issues (if you open a horse at 1/9, everyone will short it) and also solves the late odds drop problem. On the exchange, the price you “deal” at is locked in. Winning at horseracing is all about getting the right price. Serious players only bet when they are “getting the best of it”. But, when odds fluctuate so dramatically (except in the largest of pools), a very tough game becomes almost impossible to beat. Imagine that you thought you were buying Apple at $550 only to find out you actually bought it at $600. You might also flee to the safety of 10-year Treasuries yielding 1.47%. So, there you have it, race fans. The good, the bad and the ugly. Let’s hope the racing industry gets a brain, the state racing commissions get some courage, and the fans have the heart to keep playing. PS John Pricci, Executive Editor of www.horseraceinsider.com and yours truly will be hosting a live two-hour Belmont Stakes Day Seminar from 9:00 -11:00 PM EST on Friday, June 08. You’ll get complete sets of XTRAS and Pattern Scan for all thirteen races along with our VALUE Plays, top Equiform Projections and Exiotic Totebusters for the entire card. Please go to www.equiform.com for complete seminar details and signup information. No one does the Triple Crown like Equiform. She is the obvious selection in this race and a proven router. Her last outing in the Selene (G3) was impressive. She has won three of five at Woodbine and four of eight lifetime, and Casse wins 20% with recent winners. The question today can she stretch out and do the extra sixteenth? Her running style of stalking says she can and Husbands really knows how to ride her. It's hard to pass up a Casse/Husband winner (27% winning combination), and I think she has it in her to do it today. This filly has beaten Dixie Strike twice and finished a distant second to her in the Ontario Lassie to finish off the 2YO season. The angles for this filly is that she showed a nice improvement in her second go as a 3YO and Biamonte wins 21% in stakes races. Her workouts have been steady and Biamonte puts Moreno in the irons. Moreno has won 20% in routes and has been on a nice winning streak of late. She likes to loom closer up than Dixie Strike which might work with the pace in this race. The second of three Mark Casse entries. She likes the Woodbine synthetic, winning two of three and one second. Her Beyer's have been strong throughout, toss out the two turf races and she is one tough lady. The issue is can she go two turns with this group? Contreras likes her chances and her workouts have been ripping strong. Her only route race was in the BC Juvenile at CD and it was her worse effort lifetime. Even in the Fury($150) she wasn't pulling away down the stretch and that makes her vulnerable to the closer's/stalker's in this race. She will be in the hunt at the end just not convinced she will hit the wire first. Took her five tries before breaking her maiden, but has shown steady improvement in each of her races. This is a big step up for her today but like her pedigree at this distance and her 6F workout was a good one. Doyle puts on Stein who hits the board 42% and brings in big mutual's. If she doesn't do it for you, then look at the #5 Black Bird Rock ML 12/1. She has shown herself to be a versatile mare, winning where ever she races and distances. I'm going to ignore her last outing at Tampa as one of those days or not liking the course. Two back, she won the Suwanee River (G3) at Gulfstream, beating Hit It Rich. She has won here at CD and at this speed with good Beyer's. Proctor has a 20% win record across the board in these situations, and makes a switch to Shane Sellers today. With the pace so uncertain, this race should set up well for her closing nature. This 4YO filly got off to a great 3YO season winning three of her first four outings, including the Regret (G3). She tried two G1 events and was over matched and then showed strong efforts in a G2 and G3 race. She has won two of three over the CD turf course and likes this distance too. What makes her interesting is she has shown she can go forward, and today with no real speed she good kick out on the lead and go wire to wire. McPeek has her working well and her past speed fig's hold well with this group. Every time I ignore her she wins, like the Honey Fox (G2) at Gulfstream last March. The reason I'll lay off her today is that she has not won at CD in four tries, and shows better speed at a mile than this distance. She is off to a good start in her 5YO season, hitting the board in all three races. Romans puts on Lebron today, where they have been hitting at 41% rate. What makes her dangerous is that she can go out to the lead or rate off, I think she'll take off but not sure she can hold off the closer's. This is more of an angle play than anything. I like Michael Maker in these situations, bringing in a filly who has won at this distance two of three, posted a nice 93 Beyer two back and changes jockeys (Bridgmohan takes over). This filly might be a horse for course at Fair Grounds (two of three), but with two wins out of four tries (toss the last dirt effort) this season, she looks tough today. She will stalk the pace, so pace will dictate her ability to kick at the end. This lightly raced 4YO won her first effort at CD a month ago in an Allowance for non winners of 1 at this distance. She likes this distance, Mott hit's 23% on winners last start, and Nakatani stays on board. Her racing style is to press the pace, which might set up well for her today since her Beyer's are bit light for this group. While not one to get wrapped up in weights, she does get a big weight break to 113. Mott/Nakatani are a crafty pair, if the pace breaks her way, she could sneak through.